The Museum Of Yesterday houses a complete library of historic recordings and documents including books, program schedules, photographs, as well as several thousand early performance and "golden age" radio broadcasts on steel wire, slate, cylinders, vinyl disks, magnetic tape and digital media. Our collection now includes several thousand slate and vinyl phonograph recordings of historical performances, including over 200 Edison cylinder recordings, thousands of original radio show broadcast recordings, and many specialty recordings. 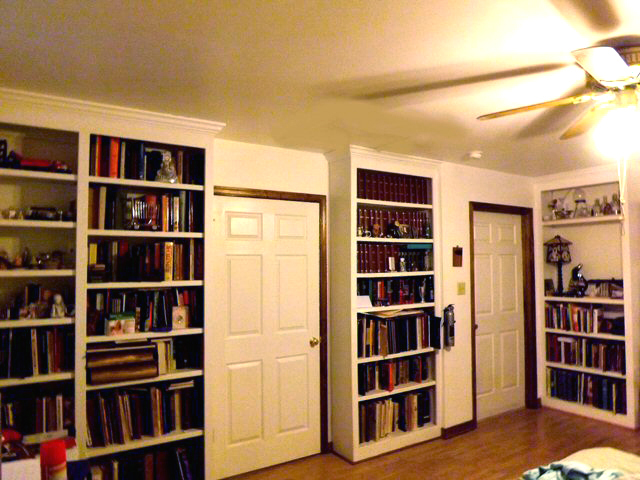 In addition, we house a large printed and electronic media based library of antique reference and radio history books. 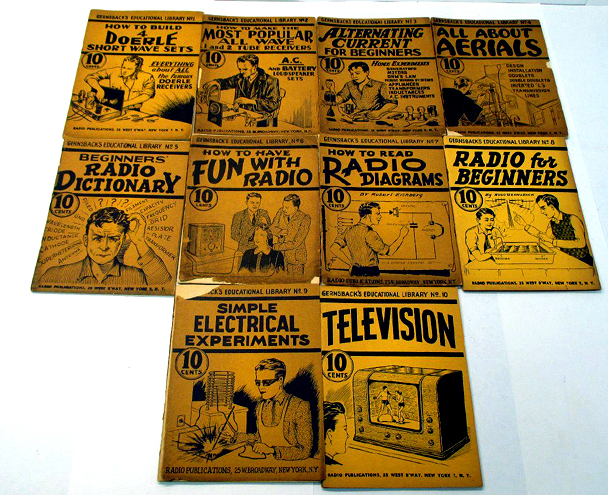 Among the items in the collection are a complete series of QST Magazines dating from 1915 to present, and ARRL Handbooks dating as far back as 1926. 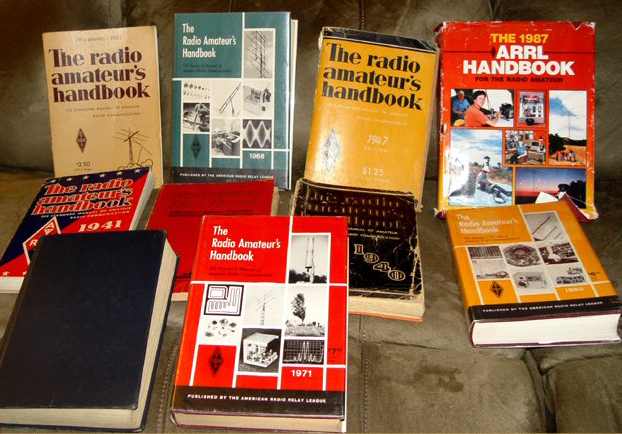 We also have a large collection of back issues of '73 Magazine, The Radio Handbook, Sams PhotoFacts, Ryder's service manuals, "The Radio Boys" stories, and literally thousands of technical books, schematics and equipment instruction and maintenance manuals and catalogs. While this is a limited access private collection, we are happy to answer research questions involving our collection as time and staff permit. 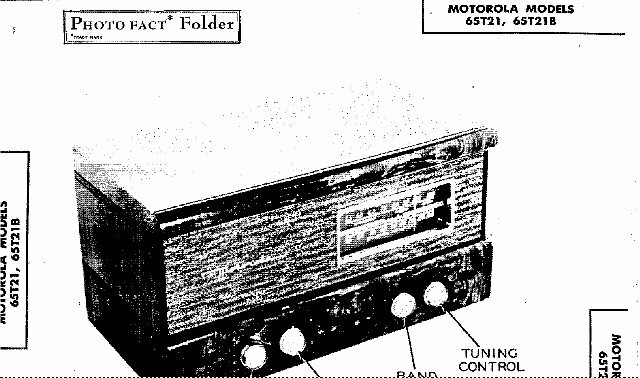 Allied Radio Corporation of Chicago, Ill, published their first major radio and electronics supply catalog in 1929. 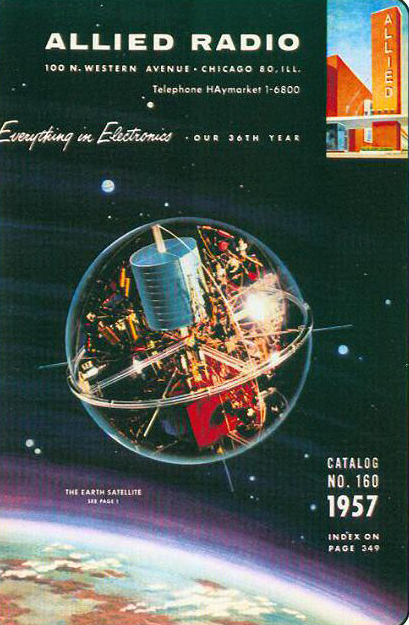 For fifty-seven years, the Allied catalog was a standard reference for the electronics designer, engineer, ham operator and consumer electronics client. Allied's catalogs provide a comprehensive view of the progress that was made in the electronics field in the years between 1929 and 1981. As the pages unfold, Electronics development ranges from the very earliest home radio sets, to the height of the space age and the beginning years of our modern computerized world. 1980 saw the last printing of the Allied Catalog under the original company ownership as Allied was taken over by Spartan Manufacturing Company. The 1981 catalog was published with Allied appearing as a subsidiary of Spartan, thus ending the existence of an icon in the radio supply industry. You can browse the complete collection of Allied Radio catalogs, ranging from 1929 through 1981 by clicking the photo at left. 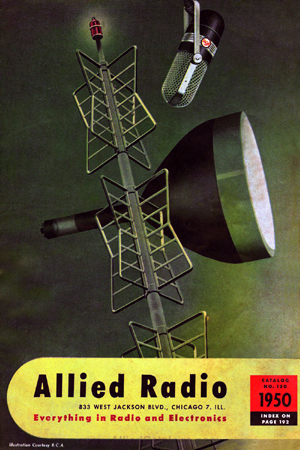 Shown here is an Allied Radio Corporation of Chicago catalog from 1957. This was the year that my interest in electronics and radio peaked. As a young boy, I spent hours studying these electronic supply catalogs, and my grandfather occasionally purchased Knight Kits from Allied to aid in my informal education to electronics. Exposure to radio construction, in those early years, is what set the path in life for me to become an engineer. In our collection of wireless memorabilia, we presently have a large assortment of Allied Radio catalogs, as well as Walter Ash, Lafayette Radio and Fair Radio Sales catalogs, spanning the years from the 1930's until the 1970's. .
Much like Allied Radio Corporation, Radio Shack had its humble beginnings in the years preceeding World War II. 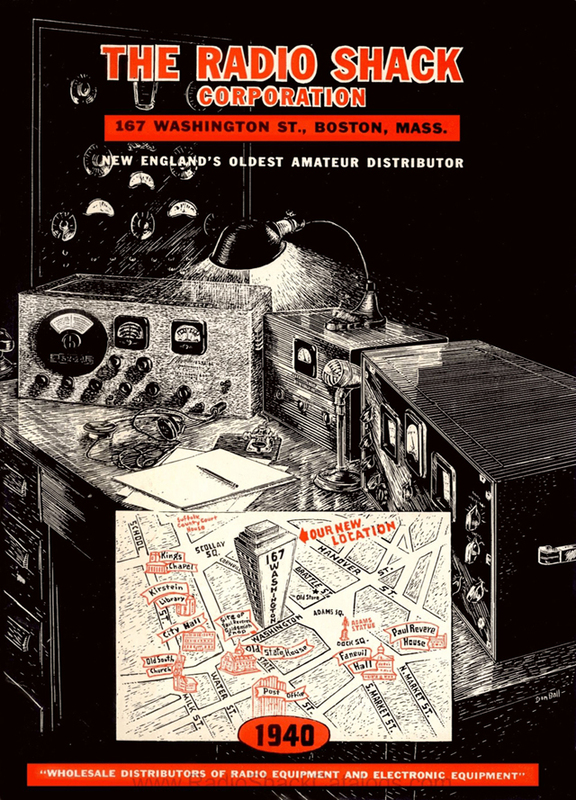 The museum library contains many annual issues of the Boston based company's mail order electronics catalogs. A small portion of the museum's QST collection. Our library houses copies of all issues of QST, the ARRL's official journal of Ham Radio, ranging from 1915 through 1985. When it comes to the servicing or restoration of antique and vintage electronics, we have available entire sets of Gernsback, M. N. Beitman Supreme, SAMS Photofact and RYDER's service manuals and bulletins going back to the radio service industry's beginning years in the mid-1920s. Our collection provides access to schematics and service and alignment information on practically any tube radio, phonograph or recording device ever made. 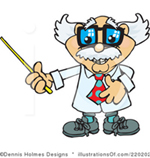 We have provided this link to download an example of the "Radio Boys" series. Click the photo above to download. The museum library houses a rare full set of the Hugo Gernsback Electronics Library of "How-to" radio and television books. 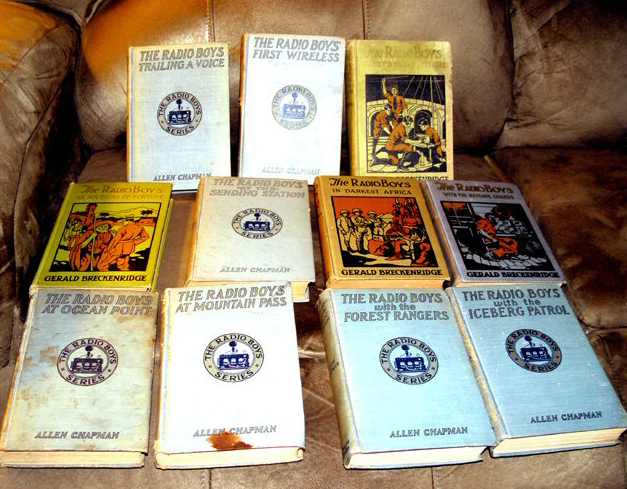 These books have provided guidance and peaked the interest of radio hobbyists since they were first published in the 1930s. Now believed to be in the public domain, they have been made available on various web sites. In an effort to present the entire series in one location, we offer the following downloads for educational and historic preservation purposes. Click on the buttons provided to download each volume. 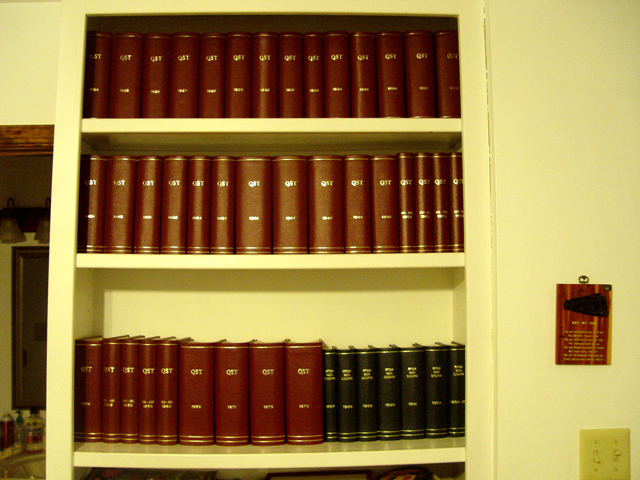 Here in our library, there are many editions of the ARRL Handbook including rare 1926 and 1929 editions. This is just a small sample of the total collection illustrating the various decades that are spanned. The museum library also houses thousands of interesting pieces of broadcast memorabilia including both historical visual and audio artifacts pertaining to old radio programs and stations. One such item in our collection is this historic 1942 photo album of the long running Don McNeil Breakfast Club program from the World-War II era. 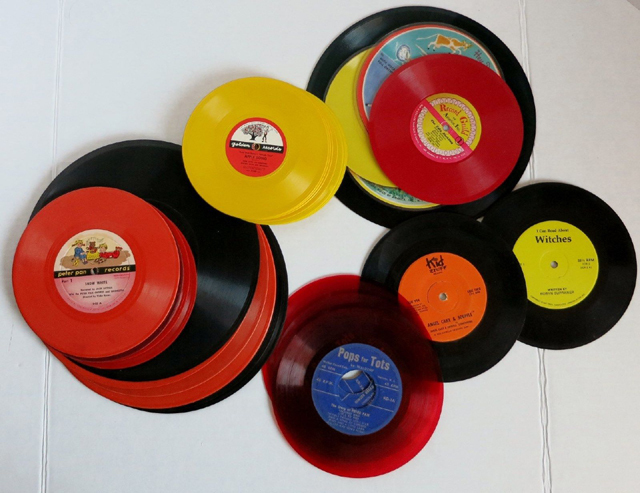 The museum's vinyl and slate disk recording collection contains many children's records that were popular in the era following the end of World War II. These recordings were often sold along with easy-to-operate acoustic and electronic phonographs that children could operate by themselves. Radio as we knew it, would not have happened without sponsorship by the great companies that made up the American advertising landscape in the Twentieth-Century. Cigarette companies, makers of soap products, and many other giants of the Madison Avenue landscape, sponsored many of Radio's network programs of old. The Camel Caravan, The Lucky Strike Hit Parade, The Philip Morris Playhouse and Chesterfield's Dragnet were only a few of the many shows that were funded by cigarette advertising. 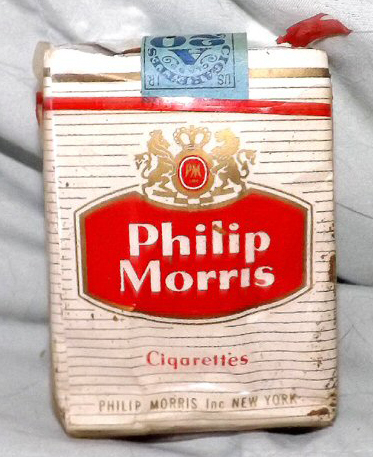 While cigarette advertising was big in radio, other product associations were notable. 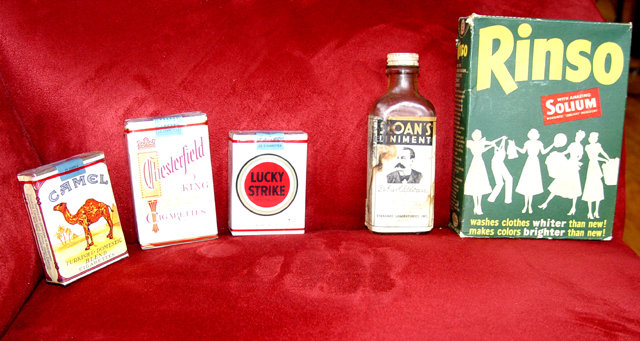 Sloan's Liniment, for example, had a long association with "Gangbusters," and soap products such as New Rinso with Solium. Ivory Soap, Duz Tide and All were associated with radio's daily line-up of fifteen-minute drama serial shows known as "Soap Operas." READ THE STORY OF "JOHNNY"
. 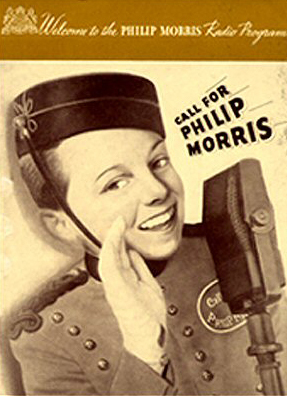 You can also hear Johnny's famous "Call for Philip Morris" by clicking his photo above. 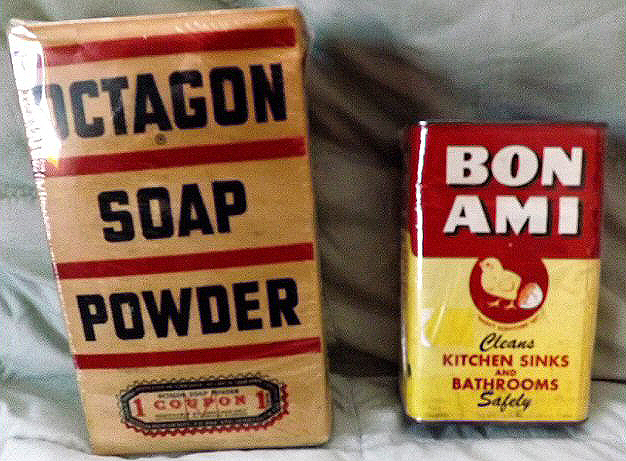 Octagon Soap Powder and Bon Ami Cleanser were also big sponsors in the Golden Era of radio "Soap Operas" and other programs. 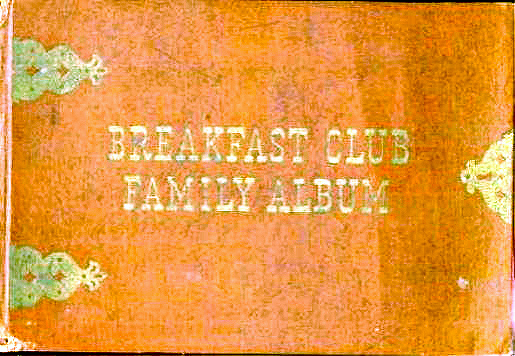 All of the original product packages shown on this site are from the Museum Of Yesterday collection of radio historic memorabilia. Captain Midnight star (Richard Webb) and his faithful assistant Ichabod Mudd (Sid Melton) shown with the Captain Midnight Secret Squadron arm patch which was available from the makers of Ovaltine. Comic book adventure series programs were extremely popular in the late 1930s and the War Years. These programs were regularly presented by products that marketed to children such as cereal products, milk flavorings, and candy. During this era such programs as "Superman," "Terry and The Pirates," "The Air Adventures Of Jimmy Allen," "I Love A Mystery," "Tom Mix" and other such shows geared to young listeners, came of age. One such program, WGN/Mutual Network's "Captain Midnight," included a club that young listeners could join, which entitled them to toy premiums that were made available by the sponsor, Ovaltine milk supplement. 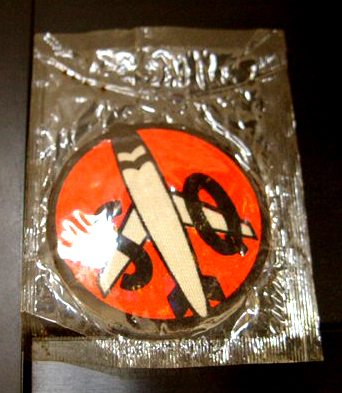 Shown here are two toys from the "Captain Midnight Secret Squadron" including an arm patch and a secret decoder badge. At the end of each show, Captain Midnight would give out a code that would reveal the contents of the next show. 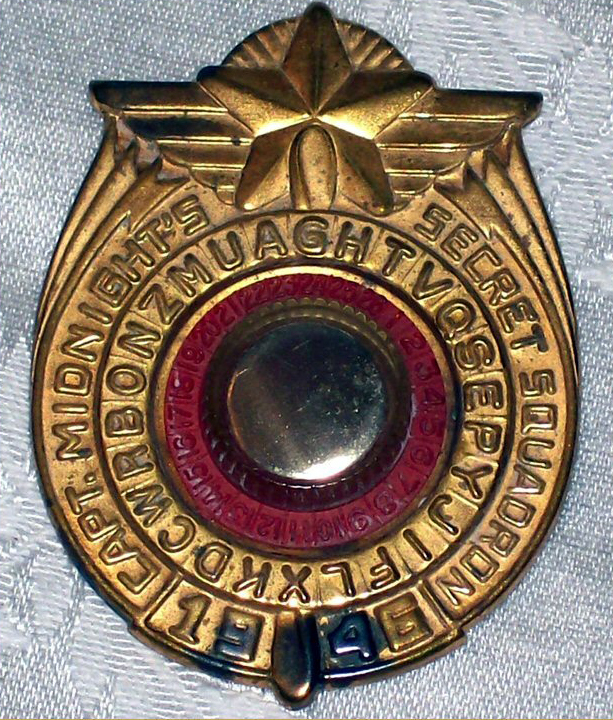 The decoder badge could be used to turn that code into the show title or description. 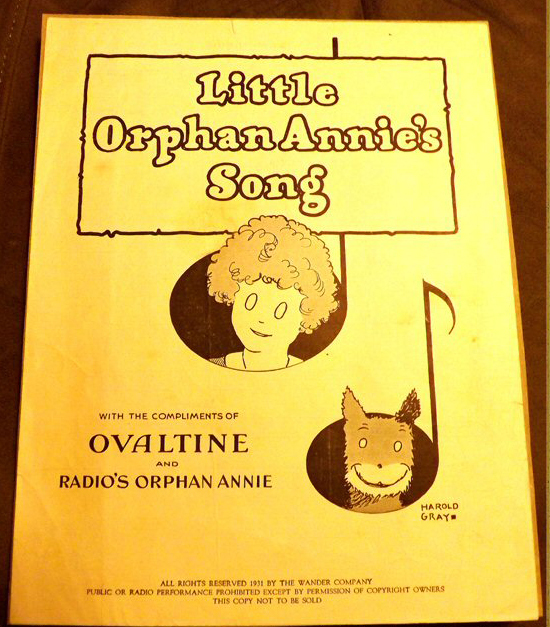 The makers of Ovaltine also distributed complementary copies of the theme song from the "Little Orphan Annie Show " a children's serial based on the Harold Gray newspaper comic strip of the same name, and sponsored by Ovaltine. The show debuted on the Blue Network in 1931. This original sheet music copy of the 1931 composition is in the historic sheet music collection of the Museum of Yesterday. 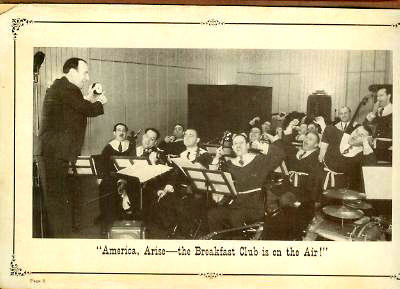 Many "Golden Era radio programs were closely identified with their sponsors. One such show, "Mr. Keene- Tracer Of Lost Persons," starring Bennett Kilpak as Mr. Keene, was sponsored by Kolynos Dental Care products. 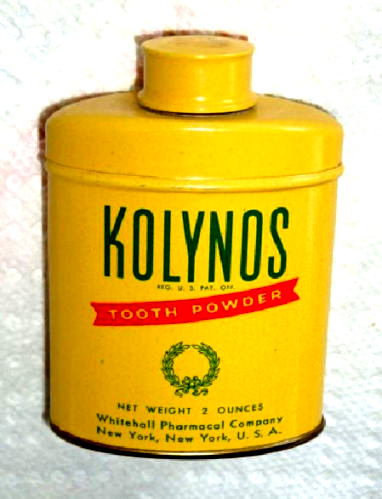 A 1940s vintage original and unopened can of Kolynos tooth powder (shown above) is housed in the Museum Of Yesterday radio sponsors' collection. Click on the Kolynos container above to hear the lead-in to "Mr. Keen Tracer Of Lost Persons." 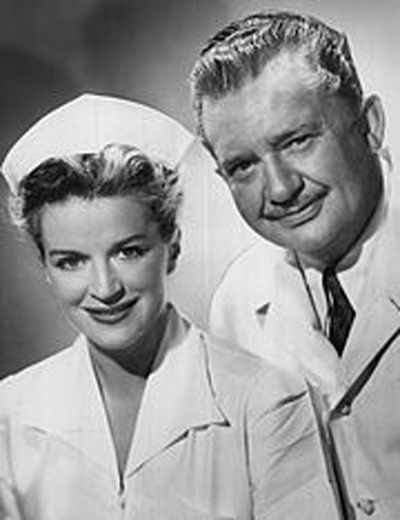 Dr. Paul Christian, the character portrayed by screen actor Jean Hersholt, shown here with Rosemary DeCamp who played his faithful nurse-assistant Judy Price, had a long running sponsorship of the Chesebrough-Ponds Company, makers of Vaseline Petroleum Jelly. The program, which was broadcast over the CBS Radio Network, was known as "The Vaseline Program; the show where the audience writes the script," and over the years, awards were given to many non-professional writers who submitted scripts to the Dr. Christian Script Writing Contest. 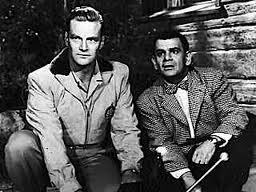 Among the winners were many virtually unknown-at-the-time writers including Rod Sterling and Earl Hamner. Like Hamner and Sterling, a number of the winners of the Dr. Christian Script competitions went on to become famous in their own right. 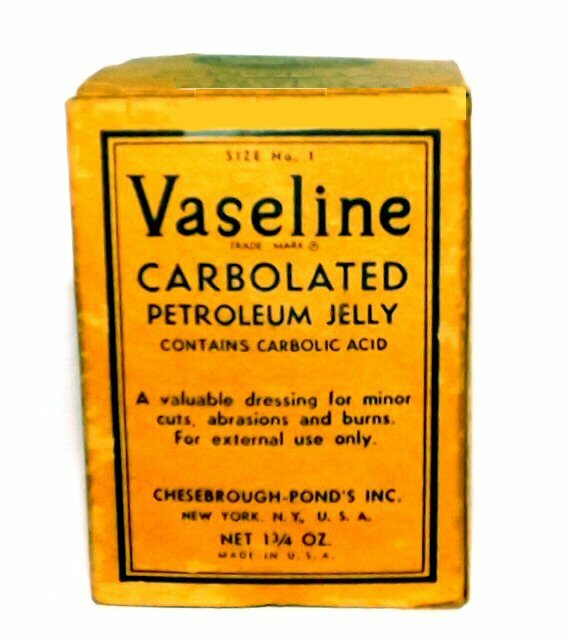 The unopened bottle of Vaseline Petroleum Jelly, shown above, resides in the "radio sponsors" gallery of the Museum Of Yesterday. Click the photo of the Vaseline container above to hear the Vaseline commercial lead-in from this show. 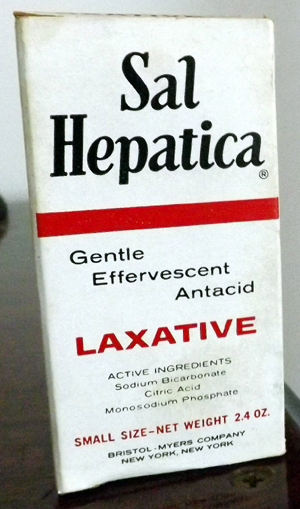 Bristol-Myers "Sal Hapatica" product sponsored several successful shows on Radio including Fred Allen's "Allen's Alley," "Mr. District Attorney" and the "Eddie Cantor Show." Like Bristol-Myers and other drug companies, Rexall Drugs was also a major sponsor of several radio programs. 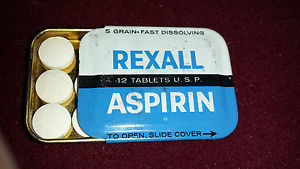 Rexall Drug Company was formed as a co-op which allowed local pharmacists to obtain over-the-counter products at prices comparable with the country's growing drug chains such as Walgreen Pharmacies. The independent pharmacies took on the appearance of a chain store by displaying a nationally known trademark for their stores and products. 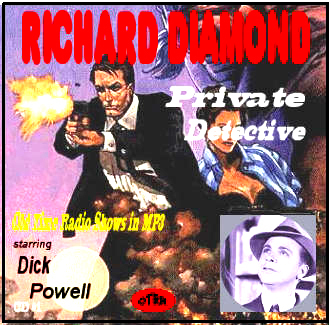 Rexall's sponsorships on radio included such programs as the Phil Harris Show, Richard Diamond-Private Eye and several other major network shows. Even prime time comedy and variety shows resulted in the production of games and other show-related memorabilia. 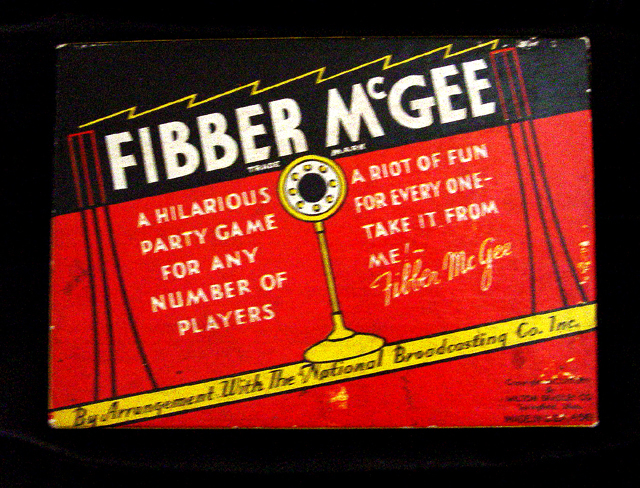 This 1930's Fibber McGee board game licensed by NBC, and based on the characters from the Fibber McGee and Molly radio show, was sold by the Milton Bradley Company. 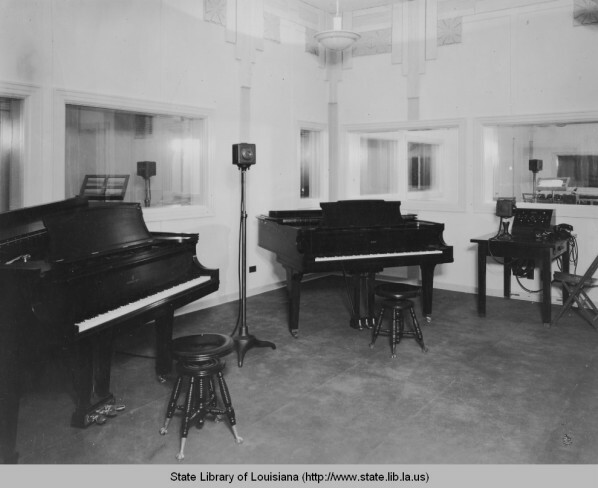 Because of its position as both the city in which Jazz was born, and as one of the major players in the 1950s development and acceptance of music performed by early Rock-N-Roll and African-American "Rhythm and Blues" performers, New Orleans underwent many changes in the ownership, management, and frequency allocations of the radio stations that served the city throughout that period. Of course the pioneering stations WWL and WSMB have carved out their niche in history, but many smaller independent stations played important roles in the history and culture of the Crescent City. Below, you will see a chart indicating the various stations that were on the air in the formative 1950s, their respective operating frequencies, and formats. Owned by Anthony Cigali. (News, local DJ and studio productions. Featured Italian culture and religious programs such as the nightly Rosary broadcast in co-op with local Catholic churches. 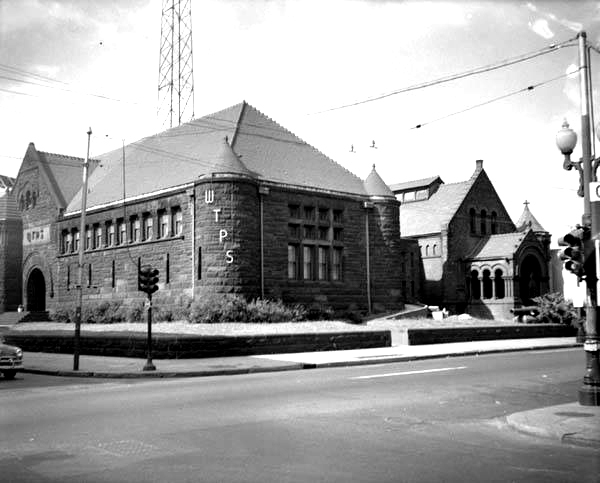 This station hosted Mid-Day Serenade, the first DJ type program in New Orleans. 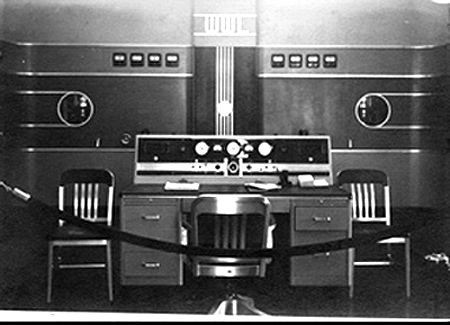 RCA BN-2A remote broadcast console from WDSU radio in New Orleans. 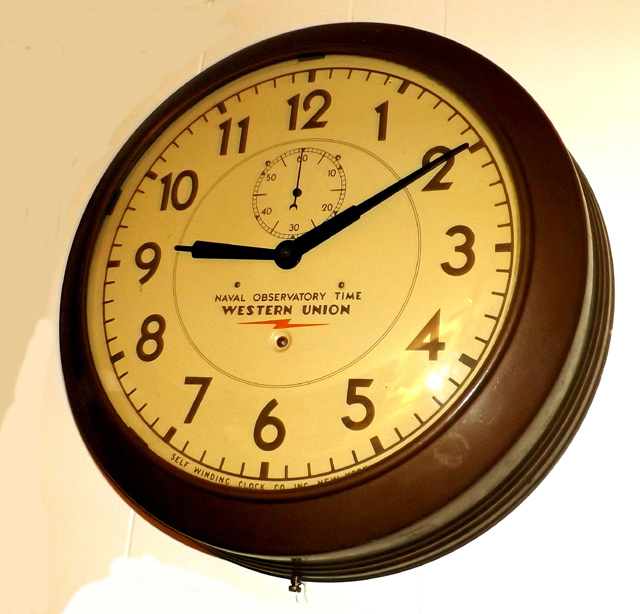 The clock shown above is typical of the clocks used in radio studios in the 1940s through the end of the Golden Radio era. The clocks were synchronized via an electric solenoid that received time and system impulses, via Western Union's telegraph system, from the U.S. Naval Observatory in Boulder, Colorado. Hint: If you click the clock with your mouse, you can hear a station break announcement typical of the late 1940s when these clocks set the time at radio stations all across the nation. No comprehensive discussion of historic radio communications can be complete without touching upon the movement toward "politically correct speech" in broadcasting. Many younger people today do not realize the spectrum over which radio has deviated since its inception. If one takes an objective look at Journalism in broadcasting over the last 80 years, there is no question that today's listeners are being hand-fed news that is slanted toward someone's agenda. I invite you to draw your own conclusions in this regard. Simply spend some time listening to the news as broadcast by Radio's greats such as Edward R. Morrow, H.V. Caltenborn, Gabriel Heatter and Lowell Thomas. 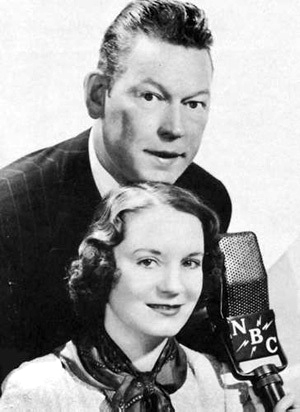 Listen also to some of the comedy, drama and variety shows that radio brought us in the pre and post WW-II era. Compare the content, writing quality, acting abilities, and presentation of those shows to what is being offered today on the the major television networks and even on Public Broadcasting. One has to be totally blind if the differences can't be immediately noticed. As we listen to those old shows, many marvel at the fact that the listener's attention can be held to the radio, without interruption, for an entire show. You are literally on the edge of your seat, heart pounding, with some of the detective and mystery shows that go back 50 and 60 years. The images are not there on the screen for you to see, as is the case with TV shows like CSI or Miami VIce, but the images that those actors of old were able to create on the TV screens that were in our minds, are nothing short of amazing. When it came to the news, there was a clear-cut line drawn in the sand between News and Commentary. Heatter, Winchell, Thomas and their peers, were journalists of the highest order. When they expressed their own take on the news, it was clearly labeled "commentary," whereas the news was just that, reporting of what actually happened, with nothing but the substantiated facts. Today's journalists can't make the distinction. High level network newscasters not only slant the news based on their, or the corporation's version or agenda, but these rascals even falsely report or convolute the news to reflect their agenda. Things like that would not have been permitted by the networks back in the Radio era, and even the slightest hint of journalistic bias would have gotten the newscaster fired or removed from the air. In regard to Civil Rights and the plight of minorities on the radio airwaves, it is no secret that most radio stations had strict rules regarding African-Americans performing on radio broadcasts. Interestingly, network radio had promoted the careers of several minority actors. By the end of World War II, white performers taking the role of black characters (such as was the case with Freeman Gosden and Charles Correll doing Amos and Andy or Marlin Hurt performing in the role of housekeeper Beulah) had given way to actual black actors assuming those roles. On local radio, one New Orleans station that was pioneering the way for the airing of increasingly popular recordings made by black performers (WJMR), still had a policy of not permitting black performers to hold on-air DJ and announcer positions. In the case of WJMR's famous late 1940's "Poppa-Stoppa" show, a well educated black personality had been hired for the purpose of training and coaching a white announcer to be able to impersonate what the audience was given to believe was a black DJ. One afternoon, as the Poppa-Stoppa show was scheduled to air, it was noted that the white Poppa-Stoppa had fallen ill and would not be able to go on the air that day. As it turned out, Poppa-Stoppa's African-American coach, New Orleanian Vernon WInslow, decided to break the industry's time honored tradition as he took the WJMR microphone and introduced himself as Poppa-Stoppa's stand-in, Doctor Daddy0. The audience didn't realize until later that they were listening to an authentic African-American on the air, as Winslow's Doctor Daddy0 character went down in Civil Rights history and the ban on black on-air personalities died a natural death. These vignettes of radio history are brought to your attention, along with our historical radio and communications photographs from the museum collection, because the history of radio is really about the shows and the performers, as much as it is about the technology and the inventions that made the medium possible. 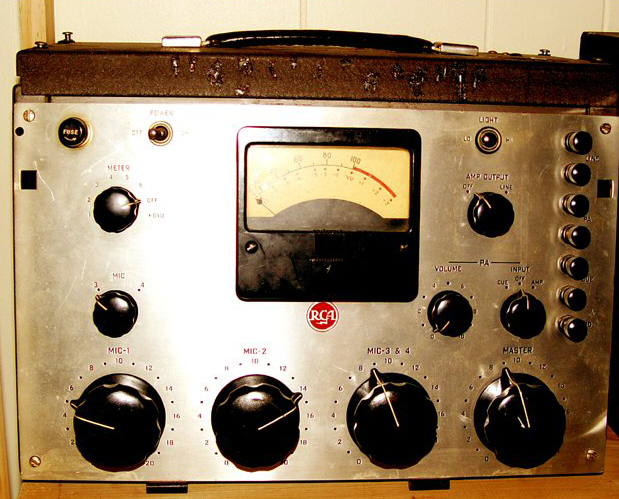 We encourage our viewers of this site to look deeper into radio's history. You will soon see that Radio is the catalyst that brought the many ethnic and cultural segments of this country together back in the first half of the 20th Century. From the boroughs of New York, to the remote hills of West Virginia and Tennessee, to the just developing lands out West, Radio made it possible for all people to learn about each other, no matter what their roots, economic positions, or cultural differences. 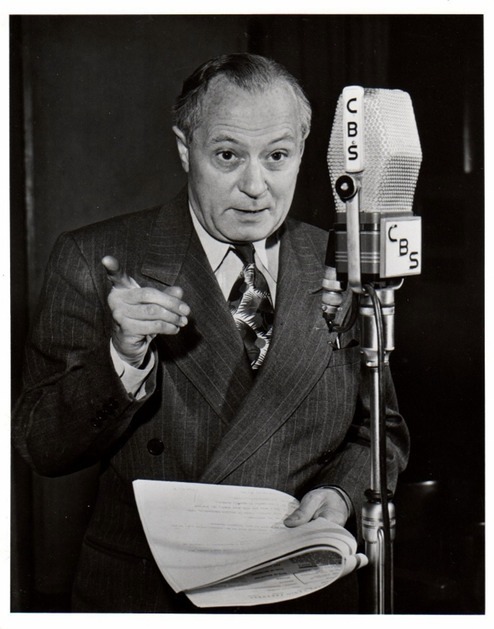 We owe it to Radio that America had the opportunity to become a "nation of one people"
WWL, one of two early broadcast pioneers in the United States that had their origin in New Orleans, began life as a physics experiment in the laboratory of Loyola University of the South. WWL began as a meager 5 watt transmitter on the campus. Later, as the station's power was increased and it became a commercial station, the studios were moved to the famous Roosevelt Hotel on Barrone St. At that point, the transmitter power exceeded what could be accommodated in downtown New Orleans, and in 1932, a transmitter plant was built to the west of the city proper on the grounds of the Trudeau plantation along the banks of the Mississippi River near the St. Charles Parish line. The logic in locating the plant on the river was that the signal would readily travel up river to markets in the Mid-West. 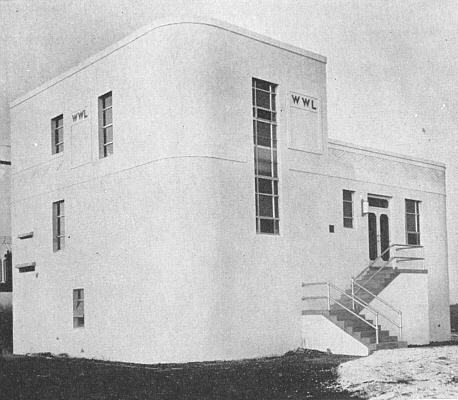 It was, however, an unsuccessful experiment, and in 1938, as WWL became affiliated with CBS, a new plant was constructed on the shores of Lake Pontchartrain in Kenner (land that is now occupied by the Pontchartrain Center). With the 1938 move, WWL was granted "clear channel" status by the FCC, and the station's power was increased to 50,000 watts. Shown below are photos of the River Road building and 10,000 watt transmitters, along with the later photos from the Kenner location. 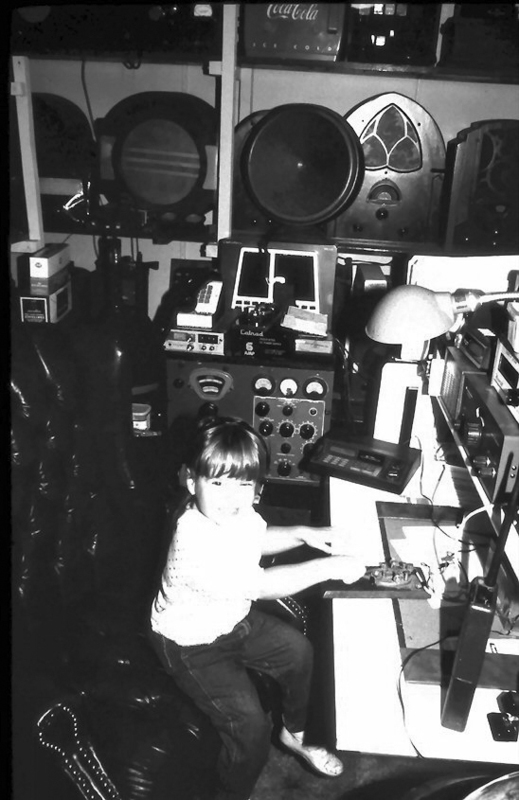 We also included an early photo of one of the live production studios from the second floor of the Roosevelt Hotel. 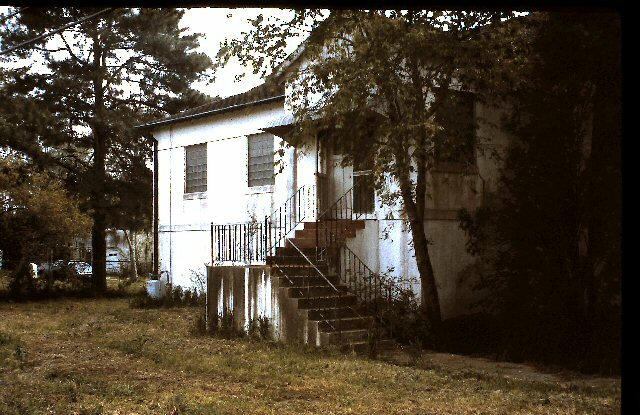 Photos below are of the 1938 vintage Kenner transmitter plant of WWL Radio. 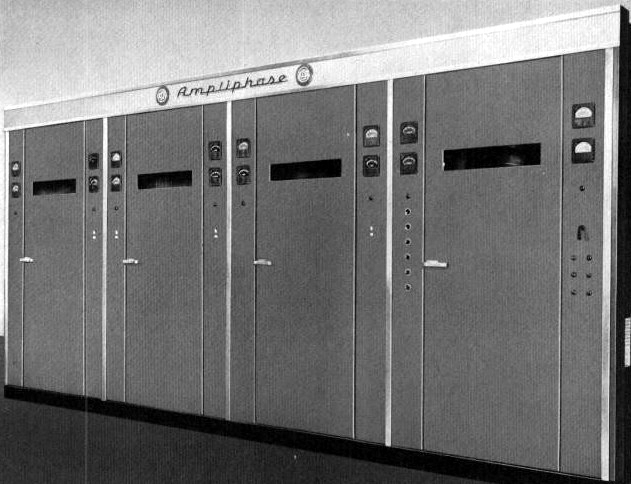 Later, the 50D was replaced with this Model H RCA Ampliphase transmitter, along with a 10 KW backup RCA transmitter. 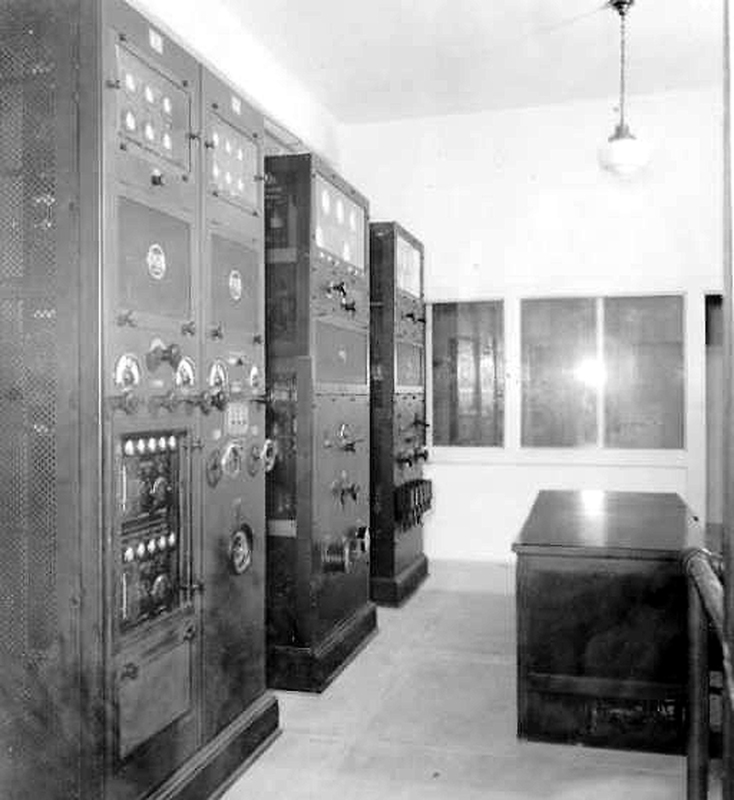 During that same period, a second backup transmitter, which was capable of 1KW, was installed at the Roosevelt Hotel studios. 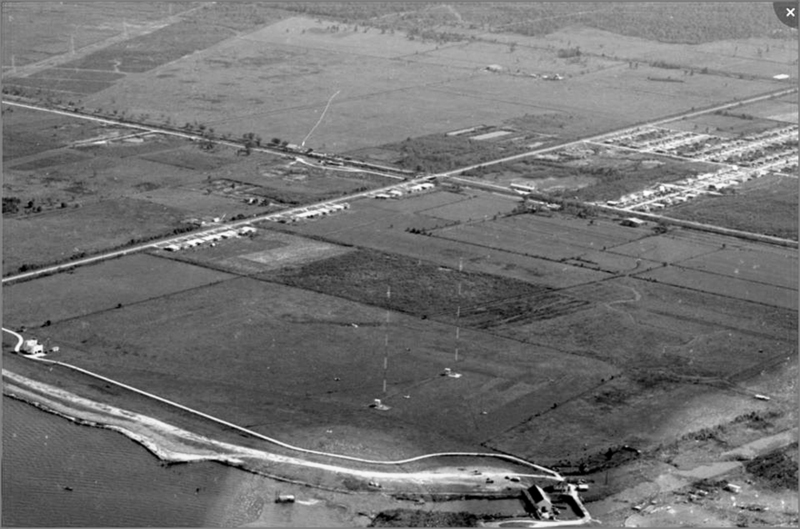 Above: Aerial view of the Kenner transmitter site. 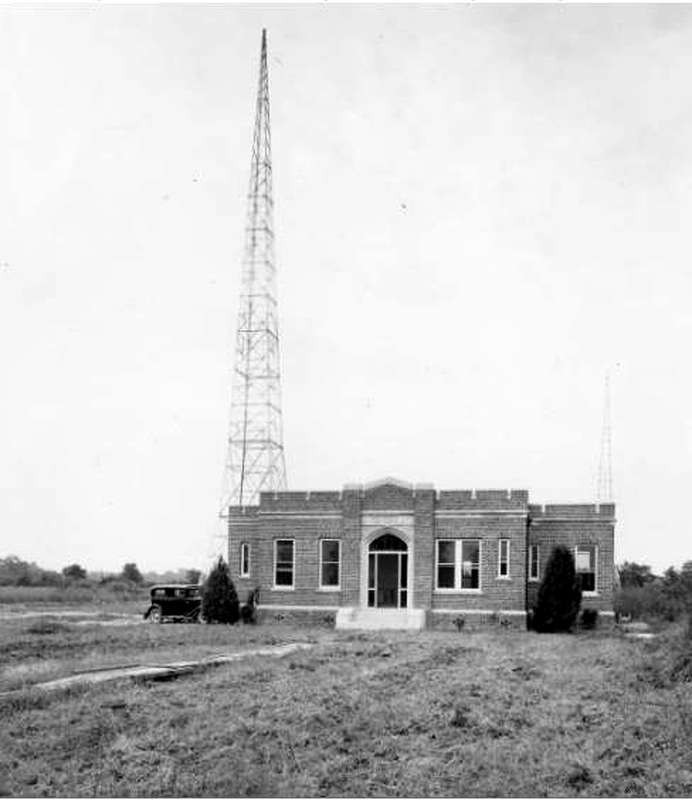 Below, a second view of the transmitter building with directional 400 foot towers in the background. The three photos above are of the 50,000 Watt RCA transmitter plant of WWL-AM at the Kenner site ca:1939. The plant operated until the late 1980's when it was moved to the site of the WWL TV transmitter in Marrero, Louisiana in order to make way for the new Pontchartrain Center in Kenner. My father's first job, after graduating from Tulane University in 1938 as an electrical engineer, was as supervisor of the Louisiana Power & Light Company crew that provided electrical service to this transmitter site. The plant was located at the end of Williams Boulevard, in a cow pasture along the shore of Lake Pontchartrain in rural Kenner, Louisiana. On a clear night,, the aircraft beacons on the two 400 foot towers could be seen from as far away as Slidell. Electrical and mechanical engineer John J. DeMajo, father of museum founder John G. DeMajo, is shown here (center of photo with coat and tie) supervising a Louisiana Power And Light Company construction crew in the installation of the sub-station transformers that would power the 1938 WWL transmitter building in Kenner, LA. The WWL Radio studios remained in the Roosevelt into the 1970s after which they were incorporated into the WWL television facilities in the French Quarter. Some years later, the Jesuit priests sold both the radio and television stations in order to raise money to support the university's endowment. 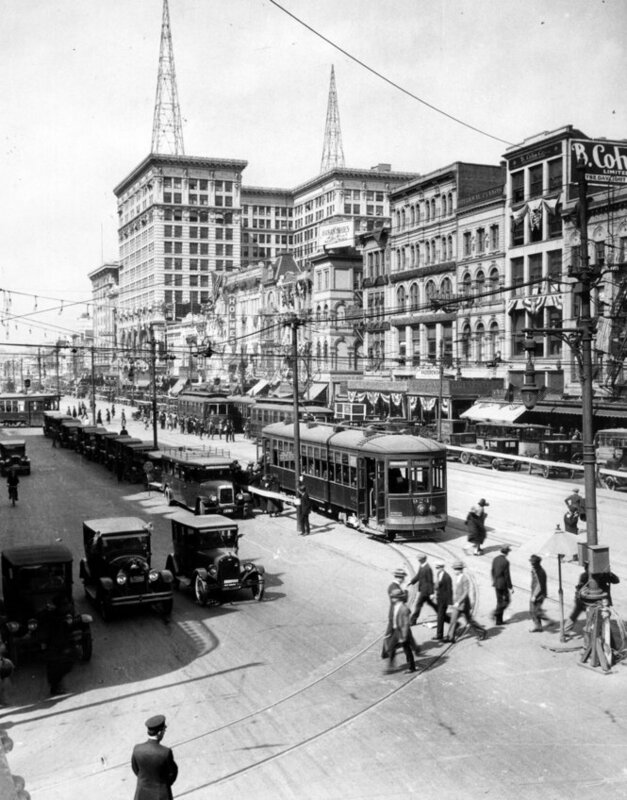 A late 1920's view of Canal Street in New Orleans showing the WSMB radio station antenna towers atop the Maison Blanche Building. WSMB was another pioneer radio station that was a joint venture of the Maison Blanche Department Store and the Saenger Amusements Company which ran numerous theatres throughout the south including the famous flag-ship New Orleans Saenger Theatre on historic Canal Street. The station's studios were on the 13th floor of the Maison Blanche Building. WSMB and WWL were two of the oldest radio stations in the United States, and are revered in broadcast history as being true pioneers of broadcasting. . 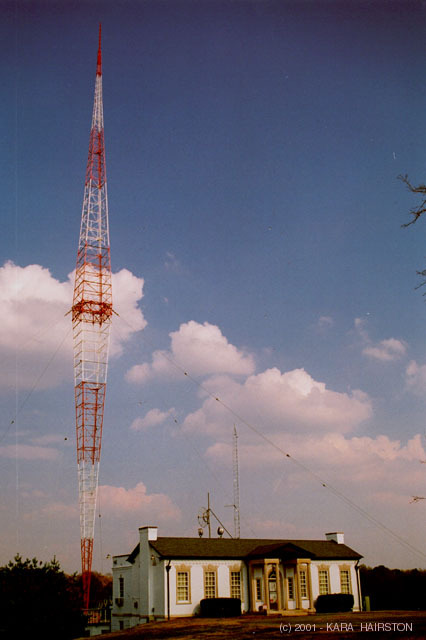 In the years that followed, the WSMB transmitter was moved across the river from New Orleans to what was then a remote area in Algiers. 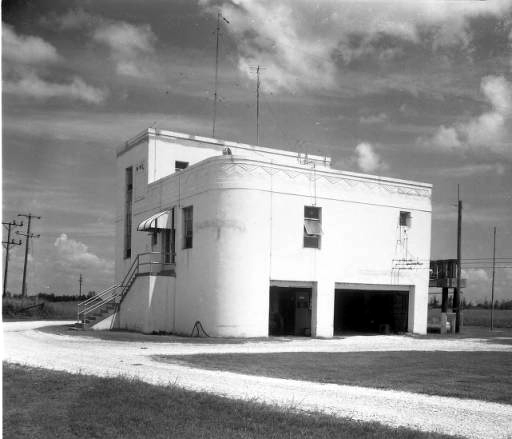 The old WSMB transmitter building located on Behrman Highway, Algiers, LA. I had the great honor and pleasure of having become good friends with one of New Orleans' most notable veteran professional broadcasters and entertainers, Charlie Matkin. Some years ago, Charlie and his colleague and fellow broadcaster Paul Yacich had formed what was known as the New Orleans Broadcast Museum. For over ten years, I hosted the museum's virtual website, along with Charlie's personal website and email account, and I spent many hours on the phone assisting him when he was setting up his last attempt at reviving WWOM as an Internet radio station. He and Paul also graciously allowed me to use a number of their photos in the presentation of the Museum of Yesterday site. Sadly, Charlie passed away last April, and his domain has since expired. Rather than allowing his website to fade into history, in Charlie's memory I have decided to continue to host his site as part of the Museum of Yesterday's extensive educational offering for as long as I am allowed. Charlie's melodious sounds as a radio announcer can also be heard on the sample station break ID that is linked to the Western Union clock also shown on this page. If you would like to visit the original New Orleans Radio Theatre site, click on Charlie's picture to the left. You have reached the end of the Communications Gallery tour. Thanks for visiting our communications collection. We hope that you met an old friend or two along the way. Please be sure to visit our other galleries including our railroad, toy, scientific instrument, household item and musical instrument collections, as well as our library of architectural photos and historical memories. STAY TUNED!!! ......MY DADDY IS ALWAYS WORKING TO BRING YOU MORE GREAT EXHIBITS.